The mission of Jewels Of Italy is offering unique pieces and collections to the lovers of the most beautiful jewelry. JOI, owner of the brands Monile and Alberto Ameri, crafts wonderful jewels, capable of well representing Italian excellence and creativity. Through the Everlasting feature, Monile leverages decades of experience in platinum manufacturing to craft perfect and long-lasting jewels obtained from a process which makes the platinum resistant and capable of shining even after years of day-by-day wearing. The jewels by Monile follow the quality guidelines of the traditional and skilled goldsmith district of Valenza; they do not forsake, however, the technological innovations which make each creation an important and long-lasting jewel. 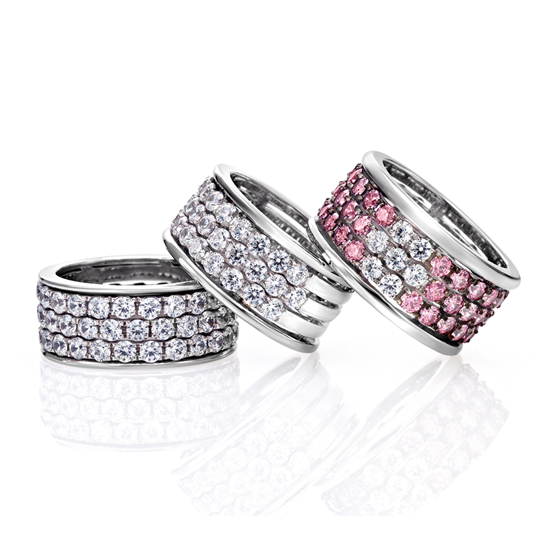 Celebrate your love with the everlasting and timeless beauty of the platinum. 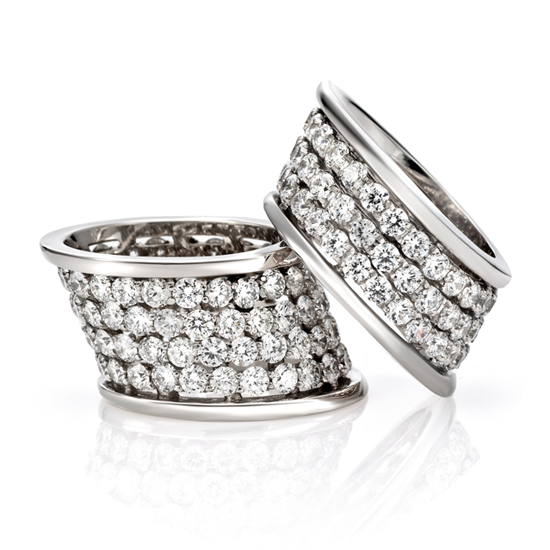 Platinum is the ideal choice for your jewels. The platinum is a naturally white metal, and will never change color. White gold is destined to turn yellow over time and therefore needs a periodic galvanic treatment (rhodium) that makes it a color similar to platinum. Very important features of platinum are those of keeping the gems safely and enhance their beauty. The purity of platinum, worked almost pure (950%), makes it hypoallergenic and ideal for those with sensitive skin. 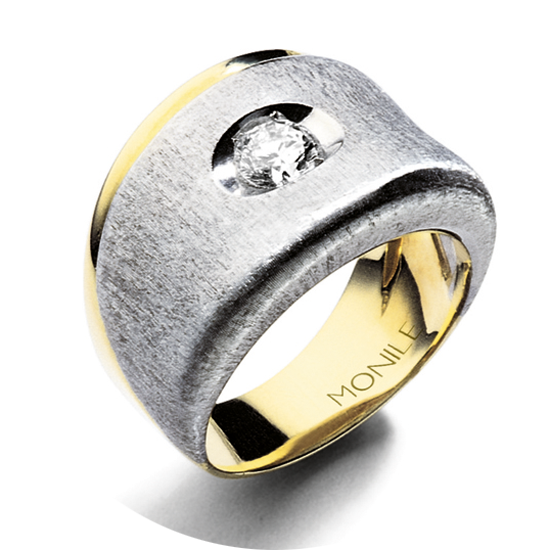 The Everlasting by Monile platinum jewels are manufactured using a new technology that gives them a scratch resistance and brightness that lasts over time. Compare the properties of platinum with those of other precious metals indicated synthetically in the graph shown below. Read the test certificate issued by the Polytechnic in Turin. Click here. 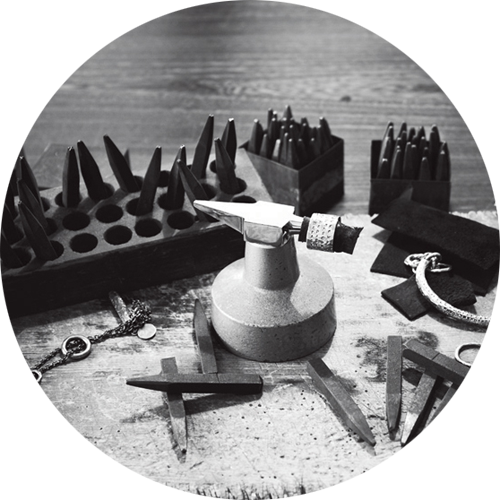 By making use of all precious metals, paired with the most beautiful gems, whether natural or synthetic ones, the Alberto Ameri brand – owned by JOI – provides the most demanding customers with jewels crafted according to the tradition and high quality typical of Valenza goldsmith district. 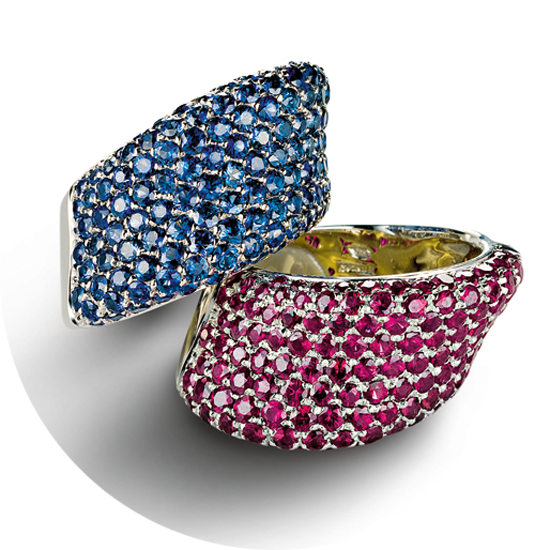 Its revolutionary approach allows to obtain jewels which convey great emotions and serve different needs: their prices, in fact, only depend on the materials chosen, in an array going from platinum jewels, to yellow, pink or white gold (whether 18 Kt or 9 kt) ones, paired with natural or synthetic gems. 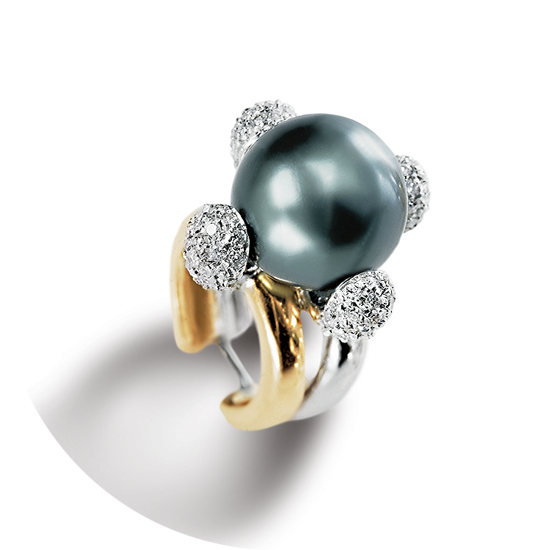 For over 45 years, Monile and its founder Aldo Arata have been contributing as pioneers of platinum fine jewellery. All along its history, Monile has developed partnerships with leading global players, some of these partnerships lasting for over 20 years: De Beers (global diamonds leader), Platinum Guild (global platinum producers’ association), Lazare Kaplan International (diamond sightholder, US), Connoisseur (Rappaport’s distribution company, US), Rosy Blue (diamond sightholder, India), Pluczenik Group (diamond sightholder, Belgium).